Final home game of the season! 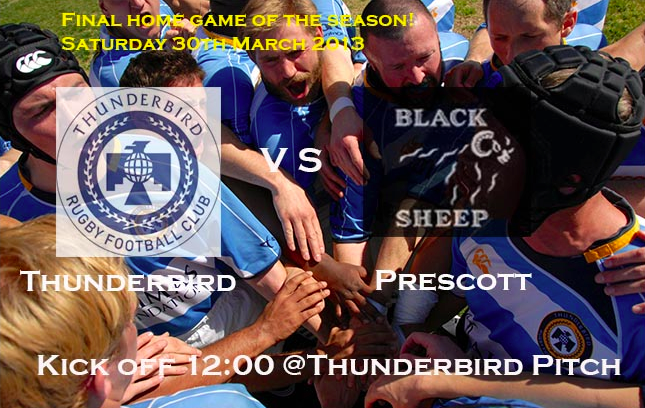 Thunderbird Rugby Club will be playing their final home game of the season against Prescott Blacksheep RFC this coming Saturday, 30th March at noon on the Thunderbird pitch! Be there to support us!